There are literally thousands of entrepreneurs across the world who have built successful businesses with WordPress as the foundation. I’m not just talking about theme shops and plugin developers either – I’m talking about bloggers, internet marketers, and any other number of professions. It is no exaggeration to say that WordPress has been pivotal in the development of my career as a writer and blogger. After all, a lot of what I do is write about WordPress – how much more of a direct impact can something have? But don’t just take my word for it. Today we’re featuring Corbett Barr of CorbettBarr.com, Think Traffic, and Expert Enough – a highly successful online entrepreneur, and avid WordPress fan. Corbett is someone who I have followed with a great deal of interest over the last twelve months, and his advice has in part been pivotal to my own success. Corbett’s story is a great example of how WordPress makes a great proportion of the logistical side of online business building extremely straightforward. Enjoy! First of all, please tell us about yourself, and your background as a blogger and entrepreneur. 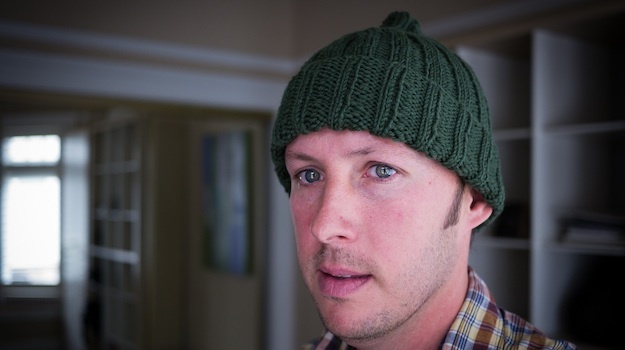 I started blogging in early 2009 while I was on a eight month road trip / sabbatical in Mexico. I had never blogged before but decided to start one to chronicle our trip and share stories of some very interesting people we were meeting on the road. Once I started blogging I was hooked and started looking into ways to turn blogging into an opportunity to work as a solo entrepreneur. Since then I’ve started two other blogs, have grown my audience to 150,000 visitors per month, and have built a small team. When you first began blogging, what made you choose WordPress? I had already known about WordPress from my former life in the startup world in San Francisco. I looked into the stats and found that WordPress was far and away the most popular choice for popular blogs. Plus, I love open source software. You are the owner of three blogs: corbettbarr.com, Think Traffic, and Expert Enough. Are there any memorable WordPress-related challenges that you faced (or face) in creating and maintaining those blogs? Juggling content is our biggest challenge. We publish 5+ times every week and have to keep track of what’s going where and when. To keep things running smoothly we use the Editorial Calendar plugin, and I hired a person just to manage our editorial process. 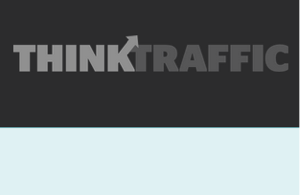 Think Traffic recently got a design overhaul and now has a unique appearance. What inspired you to create the new design? The site was two years old and I no longer felt that the design matched our purpose or vision. Plus, I suspected that a new design could convert casual visitors to repeat visitors better. The new design feels right and is performing very well. You teach that capturing email addresses should be a number one priority for a blogger. What tips would you give to a blogger looking to increase their conversion rate? Email is a very important channel. People who subscribe via email tend to be more engaged and more likely to return often. To increase email conversions, bloggers need to give a clear and compelling reason for people to subscribe and make the email sign-up forms obvious. It doesn’t hurt to ask people to subscribe within content, and to constantly reiterate the value of signing up over email. I also encourage people to prioritize email signups over other forms of connection, including social media and RSS. 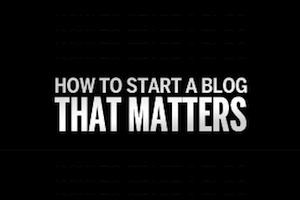 What challenges did you come up against in creating your Start a Blog that Matters membership site, and how did you overcome them? The biggest challenge in a course like that is always the content. The technical side is fairly straightforward. Providing value and making sure your students achieve results is the ultimate goal. To overcome that I try to listen carefully to what people need and over-deliver on the depth and clarity of resources in the course. If you had to limit your plugins to just five, which five would they be? If you could add one piece of additional core functionality to WordPress, what would it be? WordPress is great because it is extensible. Between the theme and plugin extension frameworks there isn’t really anything you can’t do with WordPress. I can’t think of anything major that should be added to core. What do you think the future holds for WordPress? I use WordPress for more and more projects that aren’t blogs. I think WordPress will continue to grow and evolve and improve and I’m so glad I invested time in learning it thoroughly. It’s the most important piece of software in my business. Thank you Corbett for taking the time to answer my questions! And those answers do reveal some interesting insights regarding WordPress. What comes as no surprise is that Corbett and his team use an editorial calendar plugin to manage content across several blogs. This is a must for any multi-author blog (or multi-blog author), and many would argue that editorial features should be built into the WordPress core. It is telling that when Corbett got around to developing his Start a Blog that Matters course, the technical issues were all but non-existent. The fact is, once you have got a handle on WordPress’ features and have been using it for some time, it becomes pretty darn easy to create whatever you want. Finally, and perhaps most tellingly, Corbett closes with the prediction that WordPress will become much more than a blogging platform in the future. To many, it already is. Whilst Automattic’s focus may always be on WordPress remaining a “mainstream” blogging platform, its open source nature and limitless extensibility opens up a world of possibilities. And with WordPress still being less than ten years old, there is no doubt plenty more to come.